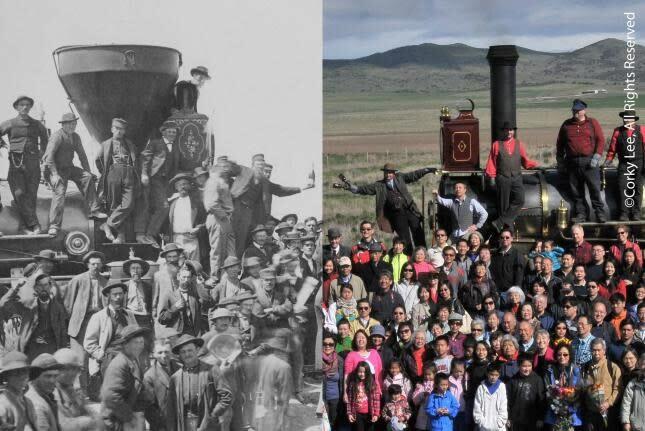 The Chinese American Museum of Chicago is excited to host a new year-long temporary exhibition, The Chinese Helped Build the Railroad – The Railroad Helped Build America, beginning March 2, 2019, to coincide with the 150th Anniversary of the Golden Spike at Promontory Summit in Utah. The bilingual exhibit, which features photographs by Li Ju, pays tribute to the approximately 12,000 Chinese workers who completed the west coast portion of the world’s first Transcontinental Railway. “The Chinese Helped Build the Railroad – The Railroad Helped Build America” was organized by the Chinese Railroad Workers in North America Project at Stanford University and Li Ju. Address: 238 W. 23rd St.